Life is Strange: Before the Storm is the prequel to Life is Strange, and it will launch Aug. 31, publisher Square Enix announced today. A trailer for Life is Strange: Before the Storm was shown at Microsoft’s E3 2017 press briefing today — it will be an Xbox One X Enhanced title. The game appears to focus on two major characters from the first season of Life is Strange, which launched in 2015: Chloe Price and her best friend, Rachel Amber. Before the Storm will be released across three chapters, unlike the five-episode Life is Strange, which was developed by Parisian studio Dontnod Entertainment. Before the Storm is being made by Deck Nine Games, the Denver-area developer that was founded in 1997 as Idol Minds. The project was leaked last month, when a set of screenshots and a piece of concept art showed up on Imgur. 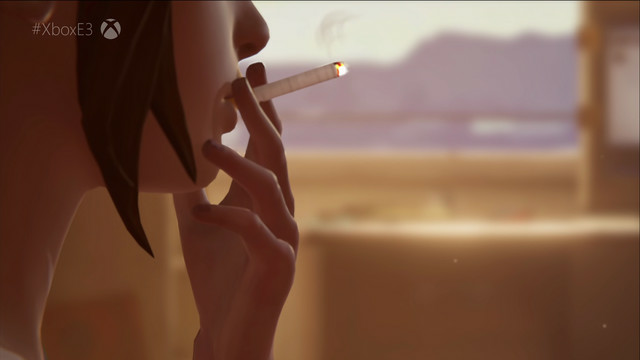 It is separate from Dontnod Entertainment’s next title, which is a new Life is Strange game. Square Enix is also offering a $24.99 Deluxe Edition that will come with a bonus episode, “Farewell,” that will allow players to take the role of Life is Strange protagonist Max Caulfield “one last time.” The package will also include an exclusive Mixtape Mode, which players can use to put together their own playlists from the game’s soundtrack of licensed music.